I've been reading all kinds of amazing updates on social media about how everyone is starting off this year “frescura y pureza” (fresh and pure) … it's so great to have a fresh start, right? This year, I am all about taking care of myself, my home, and enjoying the moment. 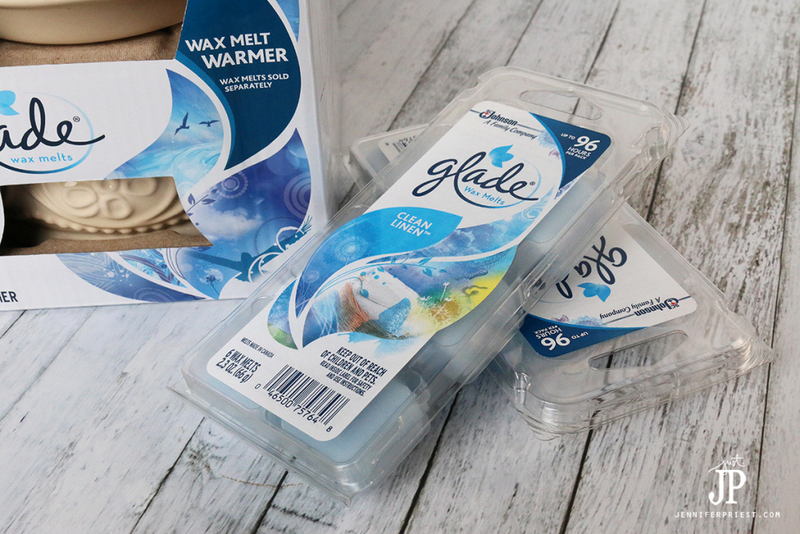 I recently started using a Glade® Wax Melts Warmer with Glade® Clean Linen® Wax Melts to fill my home with the essence of freshness and purity through fragrance. I just love walking into my home and feeling “new”! Isn't a fresh, clean home one of the best ways to pamper yourself? Another one of the most decadent ways to pamper yourself is taking a warm, relaxing bath. Inspired by the freshness of Glade® Clean Linen® Wax Melts, I created a set of DIY bath sachets filled with botanicals for a truly incredible, refreshing bath time experience. I feel like I am back at the spa every time I use these bath sachets! Last fall I went to a retreat at a fancy spa resort where we made thai poultice bath sachets. A poultice is a mass or ball of herbs, leaves, and flowers that is pressed to the skin for relief of ailments. 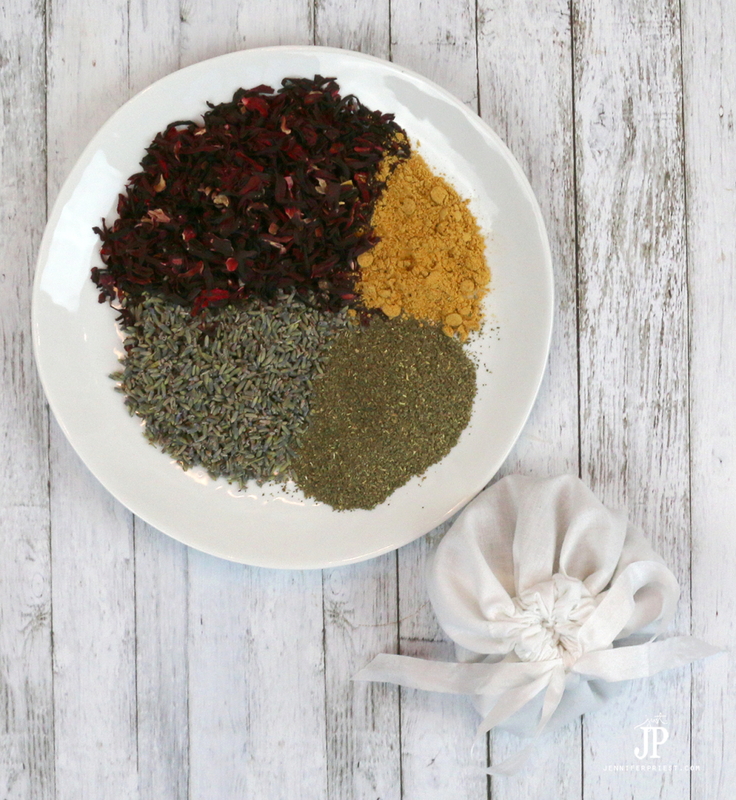 The poultices we made were essentially a bath sachet or bath tea bag filled with herbs, botanicals, and leaves we chose based on their aromatic and healing properties. The sachet can be steeped in bath water, infusing the water with the essence of the flowers and herbs inside. When done bathing, the sachet can be hung to dry and reused up to 5 times. I gifted several of these to family and friends over the holidays and they absolutely loved them! 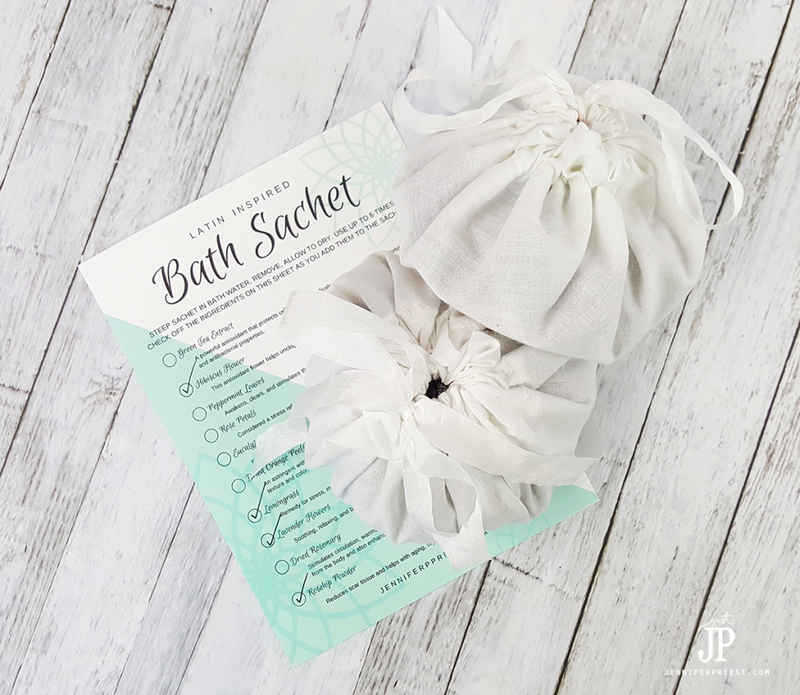 Since this year is all about pampering and caring for yourself and your home, I knew these DIY bath sachets would be perfect for creating a refreshing at-home spa experience. 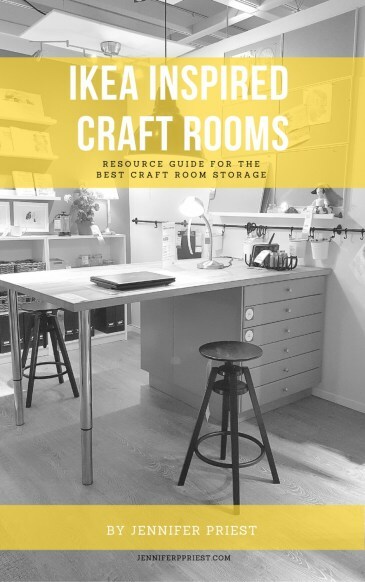 Add various herbs, teas, and dried flowers for the effect you're looking for. I created this sachet with a large amount of hibiscus flower and rose hip powder for a more Latin feel to the bath. My grandmother always had roses in her front yard; she used the bulbs and dried petals for all kinds of home remedies, crafts, and more. Add flowers, herbs, and teas from your heritage to make the bath sachet a more authentic Latina experience. Research online to find out about what kinds of ingredients to include and the effects they will have in the sachet or poultice. Watch the video above to see how I made the sachets and how to fill them. If you don't have a sewing machine, you can purchase muslin bags at a local craft store. Sometimes rose hip powder comes in a capsule or pill form; break open the capsules to remove the powder. I was only able to find lemongrass in tea bags locally. Cut the tea bags open and pour the lemongrass into the muslin bag. 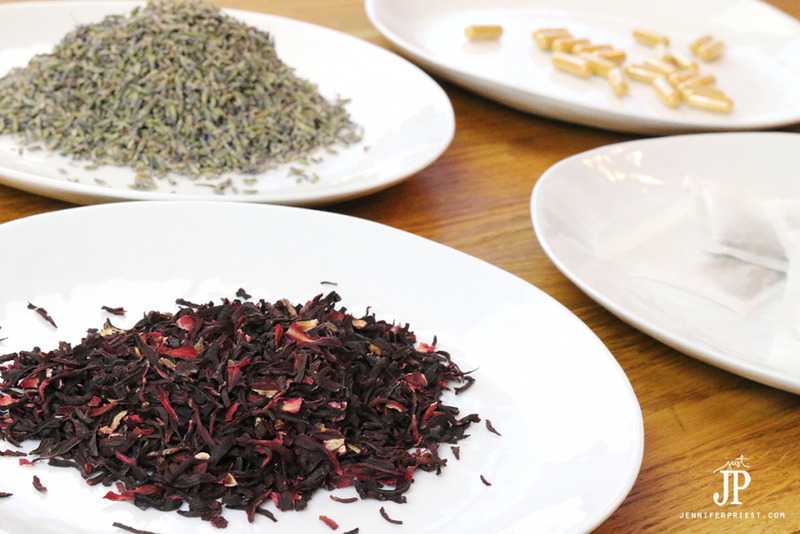 The same goes for any of the other ingredients you wish to include – they may be packaged in a pill for tea bag form but you can just open the packages to reveal the botanicals inside. Tip: Use a safety pin on the end of the ribbon to make threading it through the drawstring channel easier. It's easier to grip and push the metal pin through the fabric than to find the end of the soft ribbon. These sachets can be made in all different combinations to bring a sense of freshness to a relaxing bath, just like Glade® Clean Linen® Wax Melts can help bring a feeling of “frescura y pureza” to your home. As you create the sachet, check off the ingredients on this printable recipe so you can remember which ingredients you included in the sachet. 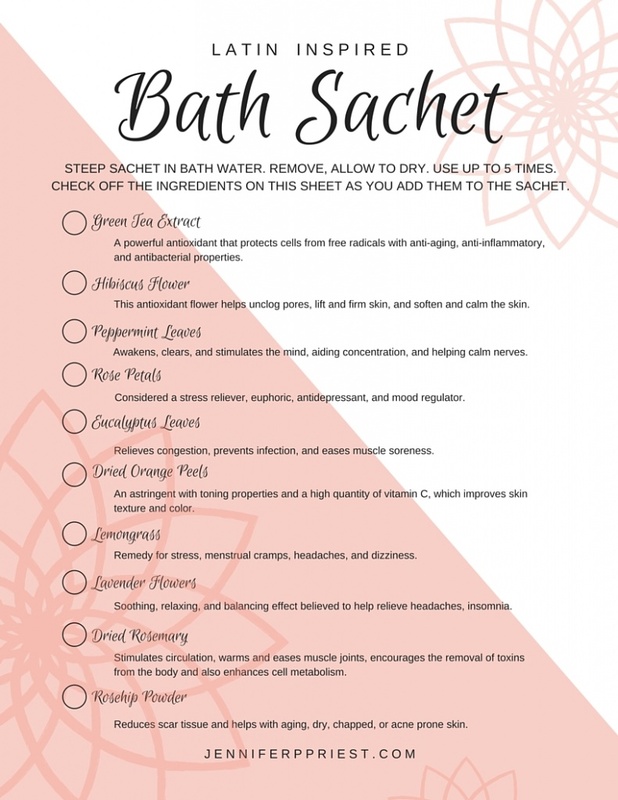 Click here to print this LATIN INSPIRED BATH SACHET Ingredient List in CORAL. 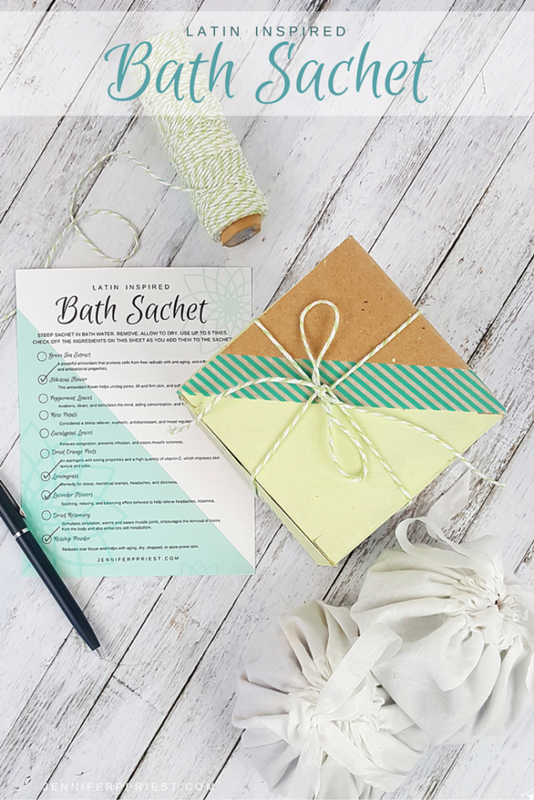 Click here to print this LATIN INSPIRED BATH SACHET Ingredient List in TEAL. Giving these as a gift? 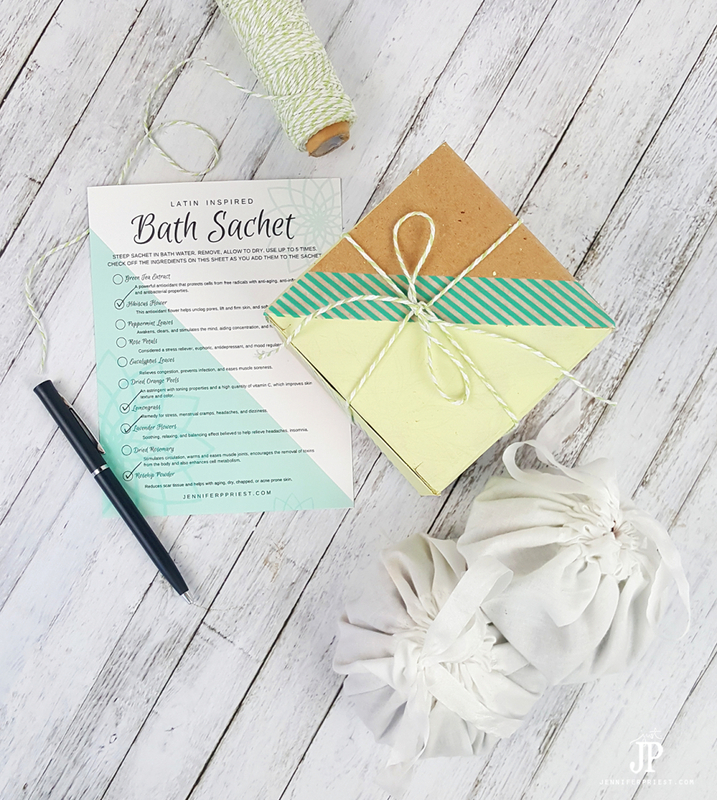 Click here to see a tutorial on the DIY gift wrap I made for these DIY bath sachets! Package the bath tea sachet in a pretty box, tied with a ribbon. Be sure to include the Ingredient List so the recipient knows what's inside. 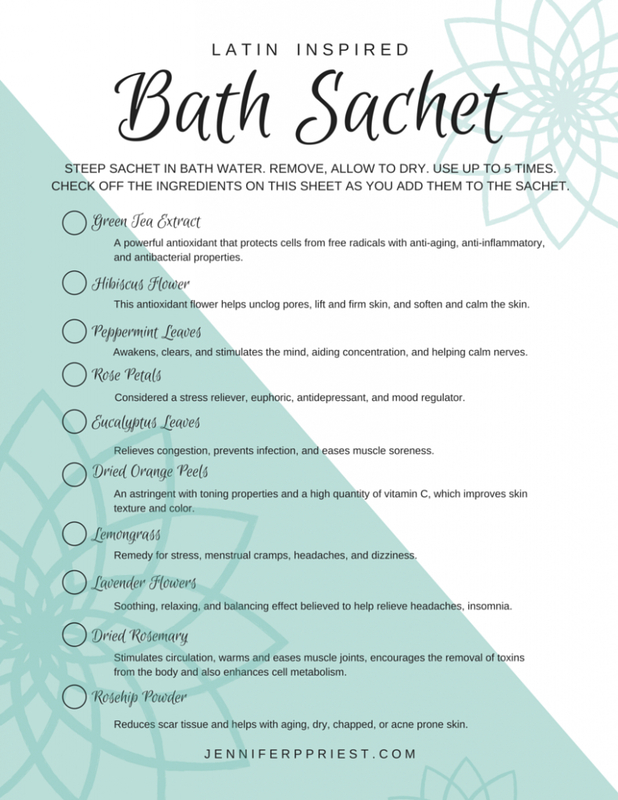 For yourself, fill a jar with several of these DIY bath sachets. It will look pretty and be at the ready any time you need pampering. Pamper yourself and your home through the gift of fragrance! Gift yourself a Glade® Wax Melts Warmer and Glade® Clean Linen® Wax Melts to keep the pampering theme going all year long. Glade® Wax Melts are little wax cubes that melt to fill your home with a truly pleasant fragrance, like clean linen. To use the Wax Melts warmer, drop one cube on the tray, plug in the warmer, click the switch to turn it on, and enjoy the delicious aroma for up to 16 hours per Wax Melts cube. 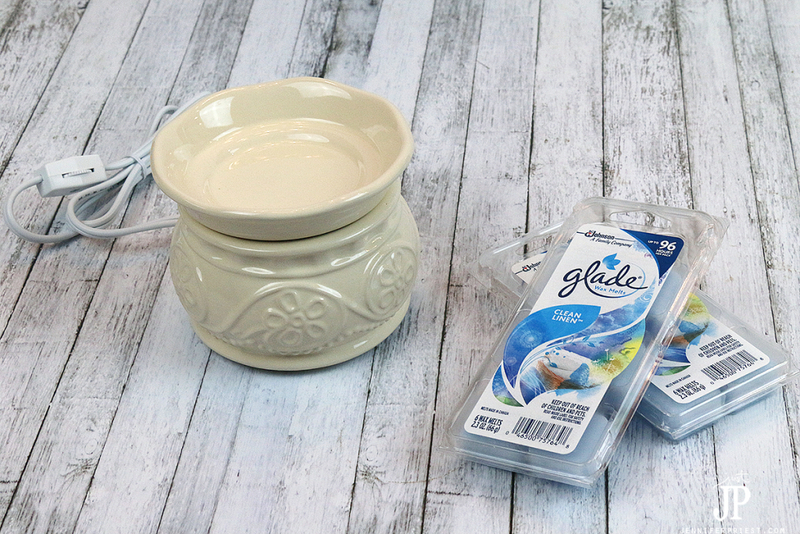 The Glade® Wax Melts Warmer will look great in any home while filling the room with fragrance! In 2016, it's all about a new year, new you. I'm taking that to mean pampering yourself! Bring on the happy with this DIY bath sachet I shared above and by melting a Glade® Clean Linen® Wax Melt in a beautiful Glade® Wax Melts Warmer; it’s the perfect complement to help you and your home feel fresh and pure this new year. Save on Glade® Clean Linen® Wax Melts with this exclusive COUPON OFFER. For more ideas on ways to use the Glade® Wax Melts Warmer and Glade® Clean Linen® Wax Melts, visit the Glade® Latino Facebook Page and follow Glade® on twitter. What's your favorite way to pamper yourself in the new year? Tell me in the comments! 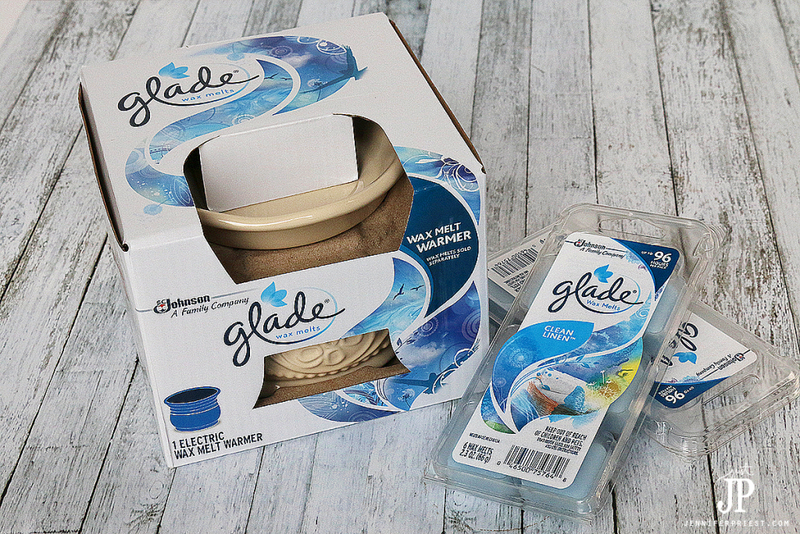 I'd love if you visited the Glade® website and told me which Glade® Wax Melts Warmer is your favorite.